Cryptologic Software company is one of the leading safe casino software operators. It has gained popularity and work hard to maintain its long-lasting reputation. Mark and Andrew Rivkin are the founders of the Cryptologic Software company, which was established in Canada in 1995. They combine their efforts to make a breakthrough in the highly developing Internet market. Creation of the successful company offering secure and encrypted service, banking and money transfer facilities to the e-commerce industry was a big event, having no analogous at that time. Cryptologic Software company started its activity allowing commercial websites to accept payments over the Internet, so called e-Cash service. It is popular even nowadays, among the great variety of casino banking methods and companies offering them. Constant communication with the e-commerce clients gives Cryptologic an opportunity to find out about fast growing and extremely lucrative online casino market. The first step of gaining this highly profitable market was creating of the WagerLogic subsidiary group dealing with the development and gambling games distribution as well as casino platforms managing. Casino licensing was another step on the way to the top. It allows Cryptologic to launch the InterCasino online gambling site in 1996. This casino has a long history and is one of the few original casinos operating nowadays. Cryptologic Software company does not stand on the achieved success and uses InterCasino for testing many innovative ideas in the sphere of the online gambling. The best innovations are integrated into the WagerLogic software suite available for license. Apart from the abovementioned success in e-gaming industry, Cryptologic sees no limits for perfection. As a result, WagerLogic was first provider of internet gambling software to be certified on the Isle of Man and to submit itself to the same strict requirements and regulations as a land based casino. From now on, online casinos licensed on the WagerLogic's platform have to go through a monthly audit by authorised agents in order to ensure whether they keep to the given regulations. This was done mainly to attract new customers and maintain the company's good name. The checks are provided to show the level of transparency and fairness of online games at the safe casino with WagerLogic license. All Cryptologic online casinos are very friendly to the players and are always provide high level of support. Nevertheless, they have made the decision to shut out the US market. That means, no online casino licensed by WagerLogic will accept US players. Cryptologic is a very-hard working company trying to satisfy the variety of customer needs. 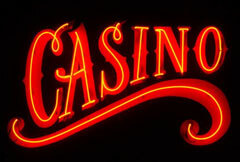 It always keeps its online casino platform modern and up-to-date. Cryptologic produces innovative software to maintain the status of worldwide famous software company with high quality and innovative solutions. cryptologic online casinos offer a wide range of classic games (online blackjack, baccarat and poker) as well as more exotic titles such as Bejewelled. Cryptologic software company is a responsible and highly experienced leader in the e-gaming industry, that is why playing in its online casinos brings pleasure and satisfaction because of updated graphic components, realistic sound effects, attractive colorful design, easy and friendly environment and, what is more important, complete safety during the gambling.